A stay in one of our hide-outs is a great experience for the adventurous nature lover or photographer. The area and the hide-outs are visited frequently by bears (several different individuals), wolverine, golden eagle, fox, raven, cranes and other birds. The area is also visited occasionally by wolves. At Norrigården visitors have unique photo opportunities! The hide-outs are located in genuine wilderness in the middle of Sweden – approximately 3,5 hours from Stockholm. The hides are strategically placed at the edge of a bog with old forest in one direction and sparse forests in the other way. There are two hide-outs: the small and large hide. Both are comfortably furnished and you are sitting comfortably and are allowed to rest if desired while you are waiting for bears and other animals to show outside the window. You can choose between self-catering, full board with dinner, food parcels for the night and breakfast or parts of meals. 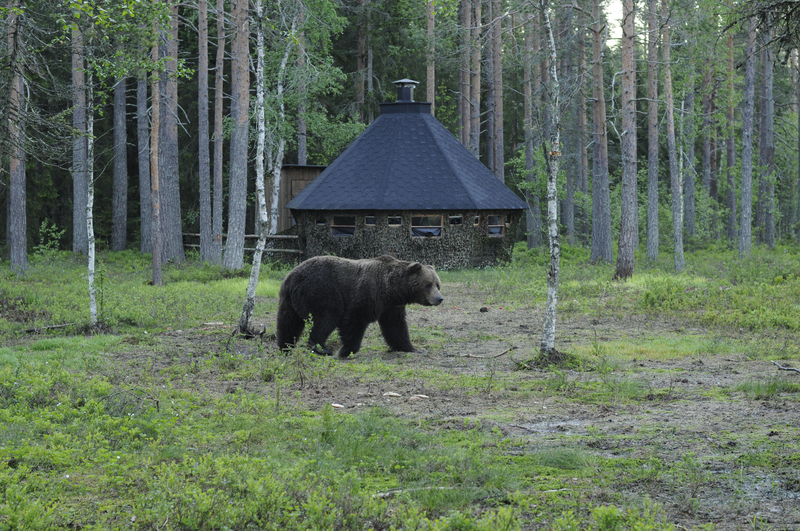 Take the opportunity to spend more time in Swedish wildlife before, between or after your stay in the hide in our lovely setting. 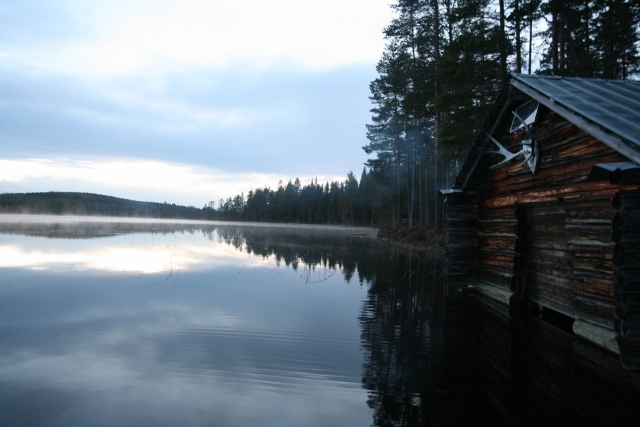 We recommend Djuptjärns wilderness camp that is located at our own forrest lake with sauna, canoeing, boating and fishing and cozy cottages. We also recomend Gåda mountain farm, a living mountain farm in genuine 1600-1700-century setting. Both options are within walking distance from the hide-outs. Another alternativ for guests that are staying multiple nights is the annex on Norrigården where you live in vibrant rural setting with kitchen, bathroom with shower and acess to the lake with boat and sauna. 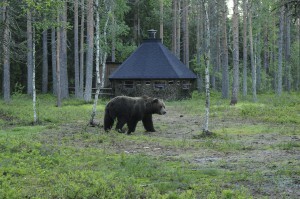 Pleasant excursions are available close by, for example the Large Carnivore Centre, Järvzoo,Stenegård, Hamra National Park and Ensjölokarna nature reserve.